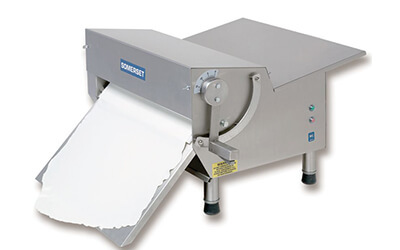 Rollers The CDR-1500 dough roller is our most advanced side-operated compact roller and sheeter and its features and construction are designed to provide years of consistent, dependable performance in any foodservice environment. 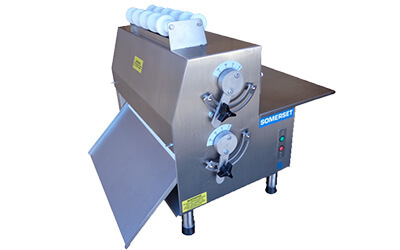 SheetersThe Somerset CDR-500F dough and fondant sheeter make time and labor-intensive dough and cake fondant rolling easy and pays for itself in no time by lowering production costs no matter the application. PressesThe Somerset SDP747 dough press makes the preparation of pizza crust and increasingly popular ethnic flatbreads consistent and effortless. Foodservice professionals know that having the right tool for the right job saves time and money. 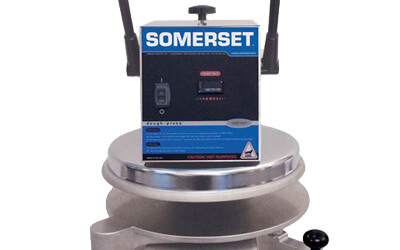 Somerset Industries, Inc. sets the standard for reliability, performance, and innovation in bakery equipment for restaurants, caterers, and a variety of other foodservice applications. The company combines old-fashioned craftsmanship with 21st Century technology so that your product will have the same taste, texture, and appearance batch after batch and year after year.